After much delays we finally received a delivery date for this release. All orders including this item will be shipped after the release-date! BLOOD HARVEST is proud to present HENOSIS’ Apotheosis Pulsio CLVI, for the first time on vinyl. Released earlier this year on extremely limited-edition cassette, Apotheosis Pulsion CLVI is now seeing a double-7″ pressing courtesy of BLOOD HARVEST. With the label being firmly committed to unleashing the very best in Chilean underground metal, it’s only fitting that HENOSIS would find a place among BLOOD HARVEST’s ranks. Their sound is a hideous and cavernous one, at once ancient yet never smacking of “retro” retread. 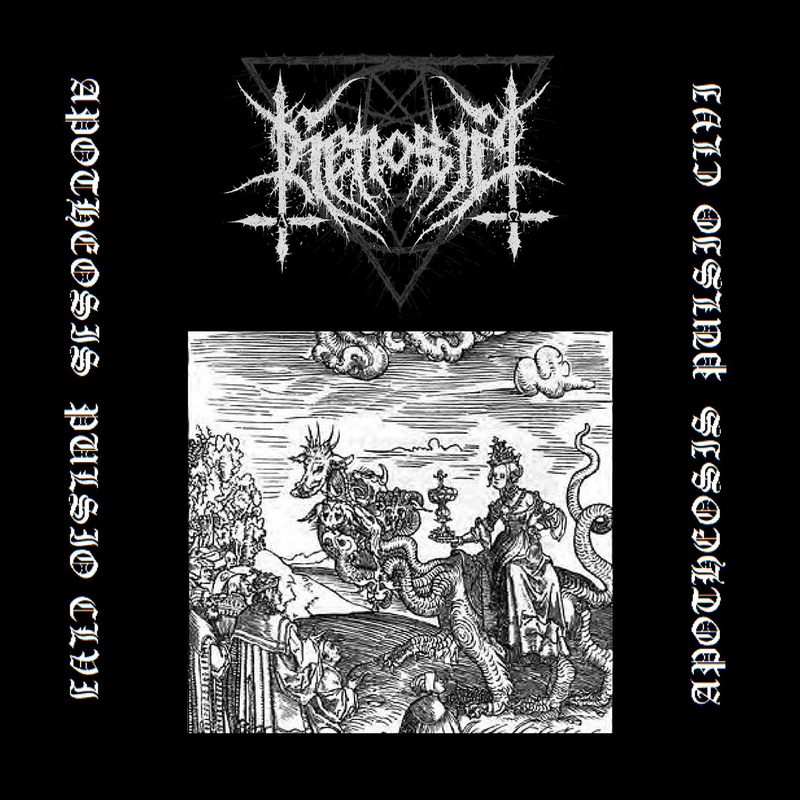 The five songs presented by these hooded demons here exhibit a keen understanding of what drove early Southern European black metal like Mystifier and Varathron into the catocombs of history, as well as the blackened death metal darkness of classicists like Necrovore and Sadistic Intent. Now, the crypt is open even wider, and thus emerges HENOSIS’ Apotheosis Pulsio CLVI. Step inside…(- Nathan T. Birk). 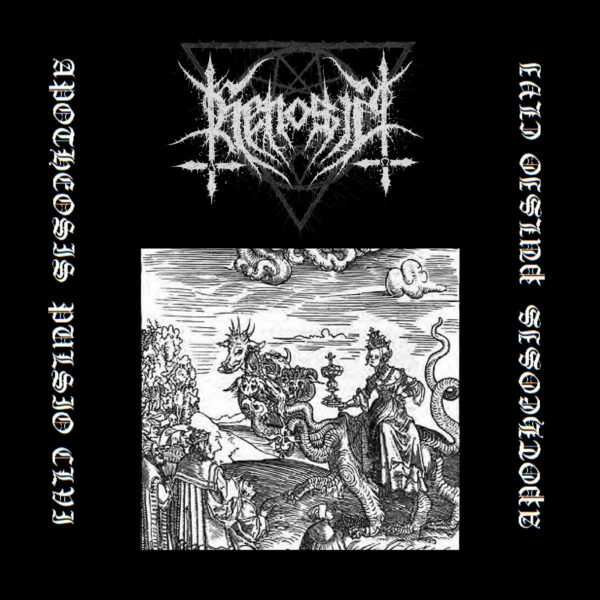 HENOSIS – Apotheosis Pulsio CLVI 10″EP consists of five verbs exalted by the darker and primal Black/Death Metal, manifested from the Demiurge’s depth nightmare, to bring back the flame of the forgotten wisdom.